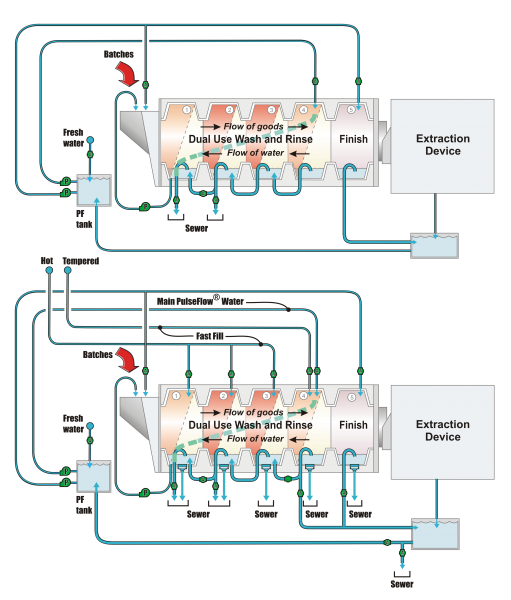 Pellerin Milnor Corporation has released new sales literature highlighting the inherent savings of PulseFlow® Technology in smaller footprint. 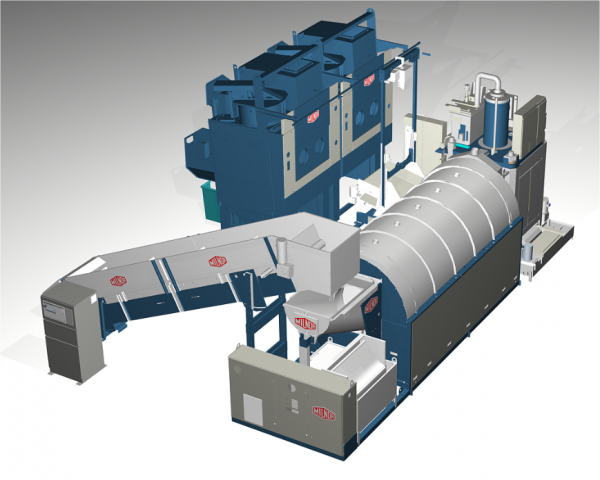 For the highest return on investment, the reliability and cost efficiency of our laundry machinery allows a laundry to be more profitable by reducing energy, fresh water consumption, and the necessary labor force in your laundry. The 5-mod 76028 PBW™ is not a new design. Customers around the world have seen unprecedented water, utility, and labor savings since installation. Now, customers processing at least 1,000 lb/hr. 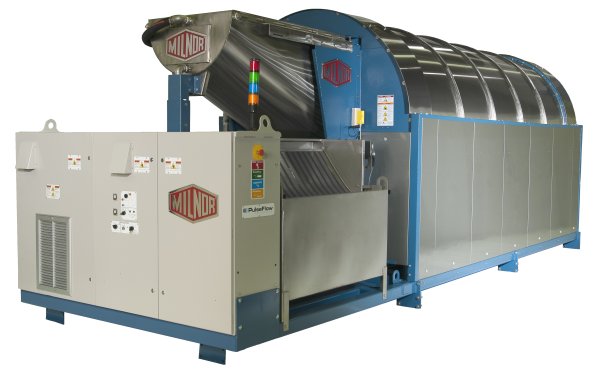 can justify the capital investment versus utility, water, and labor savings with a Milnor 76028 PBW™ installation. Furthermore, footprint restrictions are no longer an obstacle once the choice of tunnel over washer-extractors has been made. As illustrated on page 4, there are configurations that maximize efficiency, as well as floor space. Milnor’s Applications Engineering Department has decades of experience in selecting the optimal layout for any laundry—new construction and replacement projects. 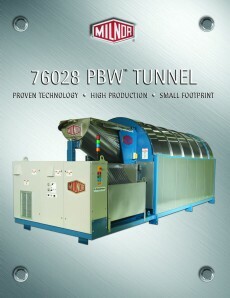 For more information on the 76028 PBW™ tunnel system, visit www.milnor.com/pulseflow_technology, call 504-712-7656 or email milnorinfo@milnor.com.